Chapter 7 describes the basic security methods and evolution of the new secure networks, including packet filtering and proxies. The IP address depletion rates with IPv4 have led to NAT/PAT becoming increasingly popular; this chapter covers these topics along with sample IOS configurations. 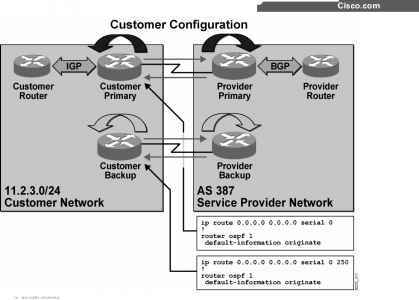 The Cisco PIX is Cisco's trademark security device, and this chapter teaches you the architecture and configuration of these unique security devices. The IOS feature set and VPNs are covered to conclude this chapter.